Meet one of our new "Creative Counselors" for Craziness: Alexandra Huertas. Alexandra was born in Guayaquil, Ecuador. She, along with her husband and daughter, recently moved to the United States and now they now reside in Gainesville, Florida. For the past 5 years they have lived and worked abroad in countries such as Kyrgyzstan, Europe, the Bahamas and South America. She received her MBA in Barcelona, Spain. While living in these different countries, Alex has seen and learned many things about different methods and ideas of crafting. 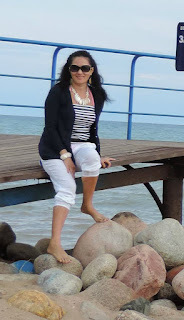 She began dabbling in home crafts 4 years ago and fell in love with scrapbooking. It is now her full time job and allows her to design and create many different creative designs. 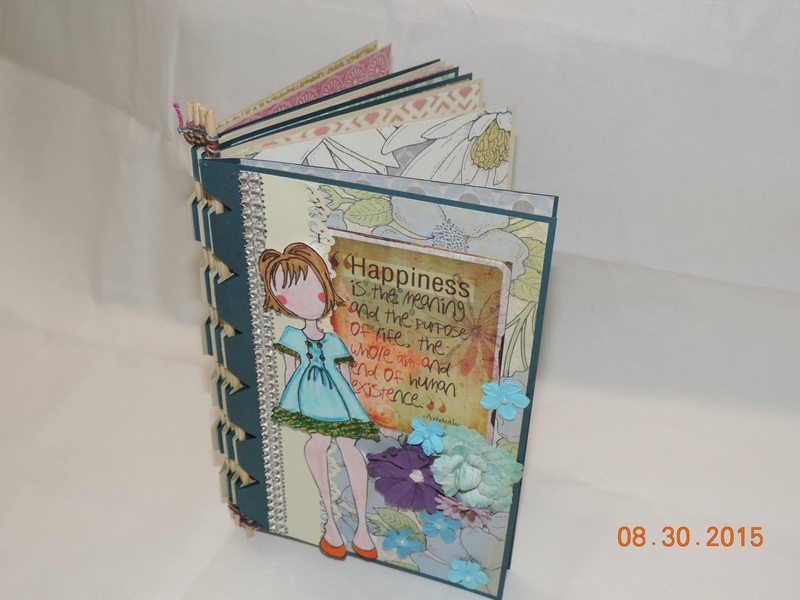 She is currently working on her website which will offer many types of scrapbooks and she will be expanding her business by offering classes locally in order to teach other people the fun and exciting art of scrapbooking. She believes that, "The designs and options are unlimited; all you have to do is add your own creativity to make something special and yours." Alexander will be teaching her "Skewer Bound Scrapbook Workshop" on Friday, October 9, from 2:00pm - 5:30pm and also on Monday, October 12, from 9:00am - 12:30pm. Craziness registration will begin on Tuesday, September 1st...and so the countdown begins.